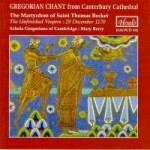 Recorded in The Temple Church, London 2012 and featuring The Women Cantors and Choir of the Schola Gregoriana of Cambridge and the Bristol University Schola Cantorum. 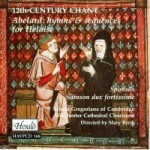 Standing in one of Europe’s medieval churches, one often wonders what music sounded and resounded there, seven, eight, nine centuries ago, or even earlier. 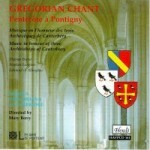 Gregorian chant, in one of its many local forms, would be the simple answer. 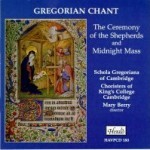 But a number of exceptional manuscripts have survived, which show how in some places, alongside the universal practice, special chants and polyphonic pieces might heighten the solemnity of the great festival days of the church year. 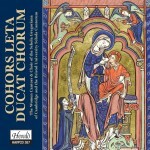 Two of these manuscripts have inspired our CD, music books from two of the most remarkable churches of medieval Europe, Fontevraud just south of the Loire between Tours and Angers in northwest France, and Las Huelgas near Burgos in northern Spain. 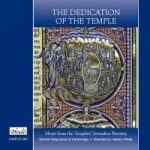 The motets express in miniature the world of associations which nourished and inspired medieval worship. The music in the Fontevraud and Las Huelgas manuscripts illustrates beautifully the guiding principle of so much medieval creative endeavour, which grows out of age-old roots, putting forth ever new branches. 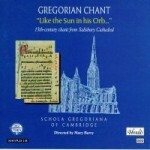 So it is with the architecture of the churches where this music was sung, so also with the new texts blossoming forth from the biblical stem, and so with the chant, Gregorian, post-Gregorian, then branching out into two and three voices, all inspired by the desire to praise God on earth as a prelude to the eternal song of the life hereafter. 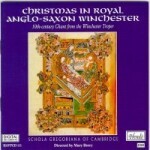 Recorded in The Temple Church, London 2009. This recording represents the culmination of a project that our founder, Dr Mary Berry, had in mind during her last year, and as such is naturally dedicated to her memory. 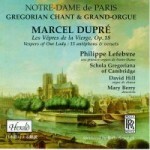 A live recording of a Celebration in Reims Cathedral. 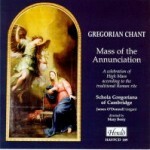 Chants and motets in honour of St. Peter, recorded in the Vatican. 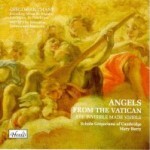 Missa de Angelis, Exsultet, and other music describing the manifestations of the Angels. 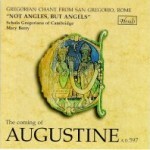 Chant to celebrate the coming of Augustine to England in A.D. 597, recorded in San Gregorio, Rome. Some years ago the Schola visited the monastery of Le Barroux,a traditional Benedictine Monastery near Avignon, where members spent a happy weekend of worship and chant. You may be interested to know that there is a recently released DVD from Le Barroux entitled Veilleurs dans la Nuit: Une Journee Monastique a l’Abbaye Sainte-Madeleine du Barrou (Watchers in the Night:A Monastic Day at the Abbey of Sainte-Madeleine of Barroux). 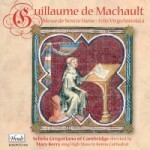 The DVD can be ordered via the Internet www.barroux.org or bought at the monastery shop.